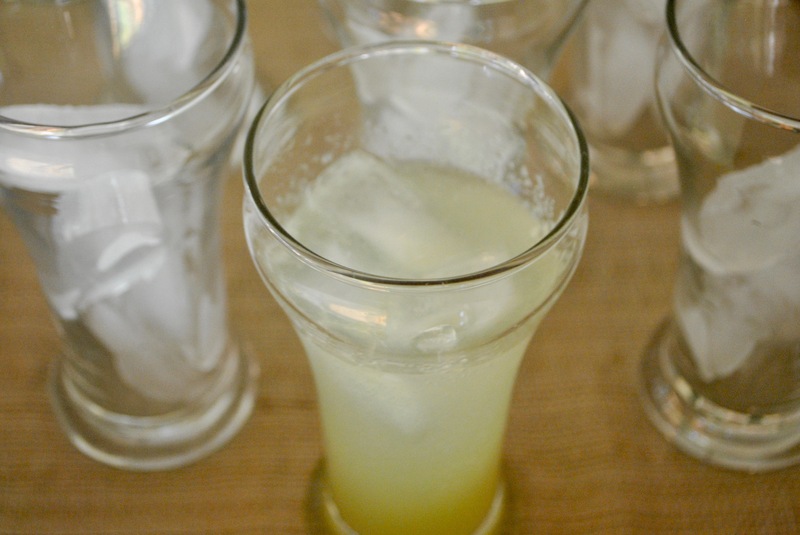 A tart, interesting, refreshing cocktail – great for a crowd. Bring 1/4 cup water and sugar to a boil in a small saucepan, stirring until sugar is dissolved. Let cool completely, then refrigerate, covered until chilled. Puree celery and 1/2 cup simple syrup in blender until smooth. Pour mixture through a fine mesh sieve set over a pitcher. Add lime juice and gin to the pitcher. Fill glasses halfway with ice, then pour 3 ounces cocktail base into each. Top off with seltzer and serve. 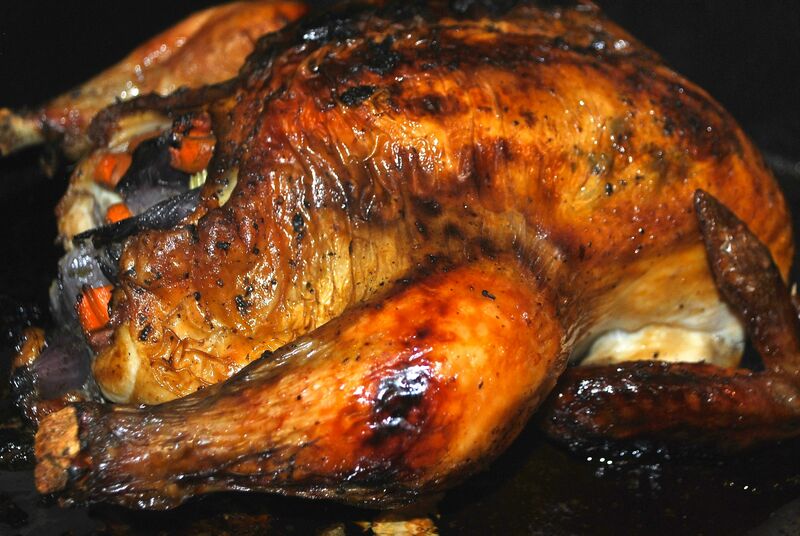 A beautifully seasoned, aromatic roasted chicken. Heat oven to 450F. Season a whole chicken with salt and pepper. Rub a mixture of 1 stick of room temperature butter, chopped capers and fresh oregano, on and under the skin. 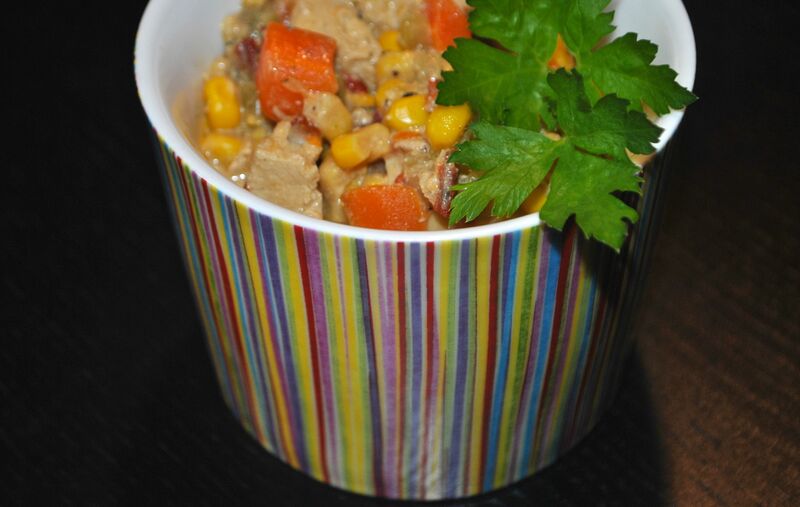 Stuff the chicken with a mixture of chopped celery, carrots and onions, place chicken in roasting pan. Mix together chicken broth, honey and wine and pour in the bottom of the roasting pan. Roast for an hour, or until a thermometer registers 155F to 160F, occasionally spooning the liquid over the chicken while it cooks. Remove chicken from oven, let sit uncovered for 10 minutes before carving. Looking in the refrigerator one morning, I saw the bright shells of our recently colored, hard-boiled Easter Eggs, and wondered how to reuse them for a more practical purpose. 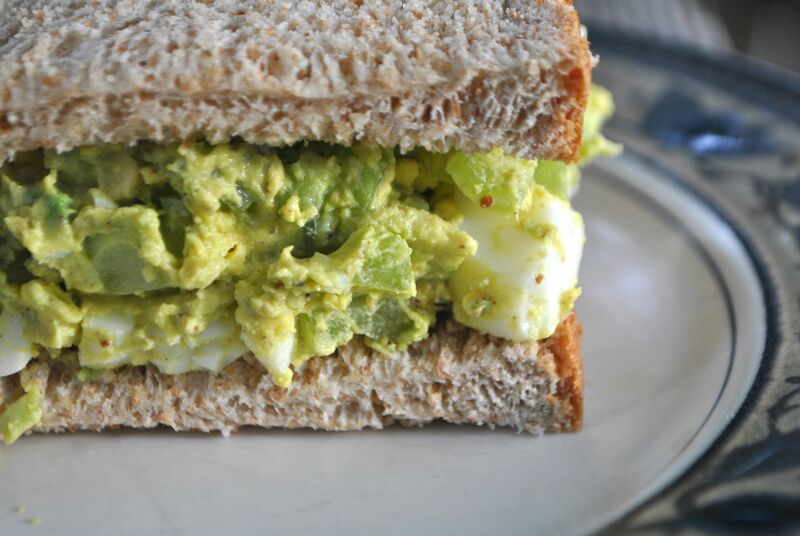 My daughter loves egg-salad sandwiches and yellow mustard, and it seemed the perfect combination for a yummy, casual lunch. Peel eggs and finely chop. In a medium bowl, mix yellow mustard, mayonnaise, basil, parsley, garlic powder, salt, pepper, onion powder and hot pepper sauce. Fold in eggs and celery. Chill until ready to serve. A wine pairing dinner at a local restaurant, that my husband and I try to attend every month, featured an outstanding coleslaw, paired with a pork slider and a full-flavored glass of wine. At a casual dinner we hosted with friends, my husband wanted to try and recreate some of the deliciousness – a few adjustments to an existing recipe, and we were close. Combine 1 tablespoon of olive oil, 1 tablespoon cider vinegar, 1 teaspoon honey, 1/2 teaspoon freshly ground black pepper, and 1/4 teaspoon salt in a medium bowl, stirring with a whisk (I doubled this). 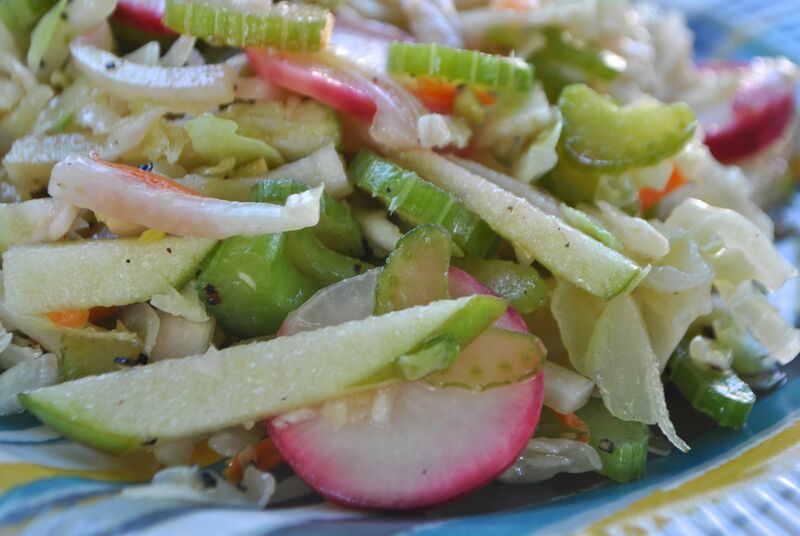 Add 1 to 1 1/2 cups packaged coleslaw mix, 1 1/2 cups julienne-cut green apple, 1 1/2 cups thinly sliced fennel bulb, 1 cup thinly sliced celery and 1 cup thinly sliced radishes. Toss to coat. This is a beautiful, delicious salad for lunch or dinner, and so quick to put together. 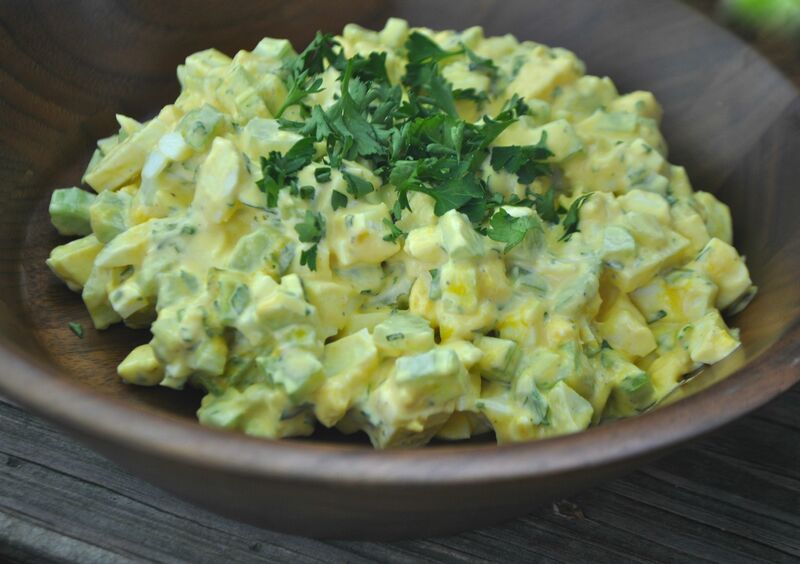 In a bowl, whisk together 1 tablespoon of mayonnaise, 1 tablespoon Greek yogurt, juice of 1 lemon, salt and pepper. Toss with 1/2 a chicken breast, chopped. 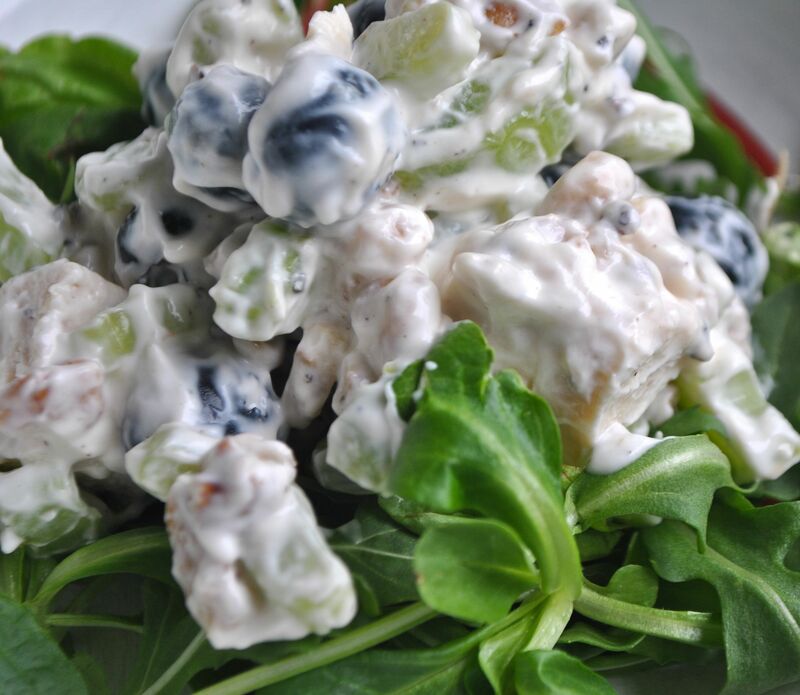 1/4 cup chopped celery, 1/4 cup blueberries, and 2 tablespoons of chopped walnuts. Serve over arugula. It wasn’t until I reached the end of this recipe that I realized this egg salad didn’t contain any mayonnaise. I didn’t miss it at all – the creaminess from the avocado and egg yolks were enough. 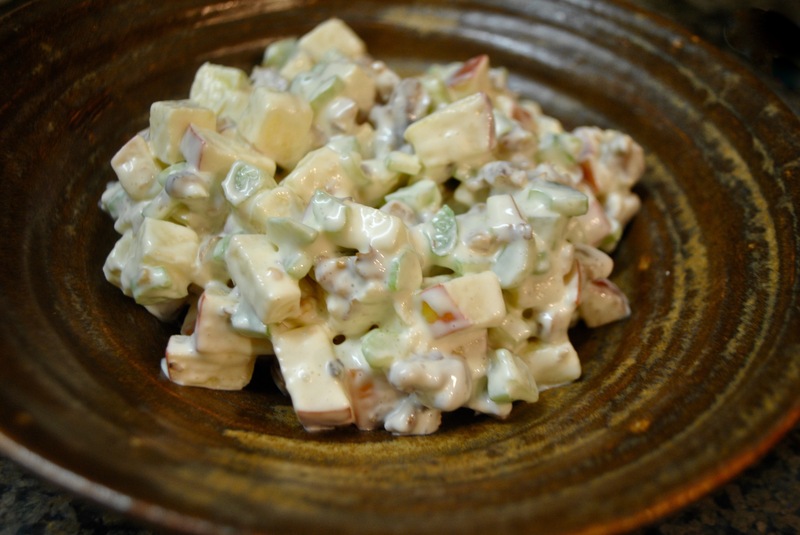 The flavors were fabulous together and I loved the crunch from the celery. Put eggs in a saucepan and cover with water. Boil for 10 minutes, and then transfer to a bowl of warm water. Allow eggs to rest in the warm water for 10 minutes. Peel and rinse the eggs under cold water to cool. Coarsely chop. Mash eggs and avocado in a bowl with fork until well mixed but still chunky. Stir in celery, mustard, salt, pepper, and garlic powder.